PT Petrojaya Boral Plasterboard as part of Boral Gypsum Asia provides various solutions to the needs of a variety of solutions for the interior construction of housing, offices, to high-rise building. ease of installation, quality products and warranty products is guarantee jayaboard. Jayaboard produce gypsum board first in Indonesia in 1994 in Gresik. Currently 95% of the range of products that are marketed Jayaboard been produced in three factories in Indonesia. This allows ensuring the quality of the overall system. Boral as international companies have had extensive experience in Plasterboard products and supporting systems. Long before Boral has become a supplier of building materials and construction site as the birthplace of Australia, with significant operational network in the United States and Asia. 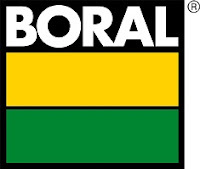 With sales of 4.7 billion Australian dollars, Boral has over 15,200 employees spread across 700 operational area. Candidate must possess at least a Bachelor's Degree, Architecture, Engineering (Civil) or equivalent. Main job is dealing with customers' technical inquiries via hotline. Also support Technical team's technical works. Freshman just graduate university can apply. Good skill for AutoCAD and MS office.